IntelliJ IDEA Tutorial provides the basic and advanced concepts of IntelliJ IDEA. 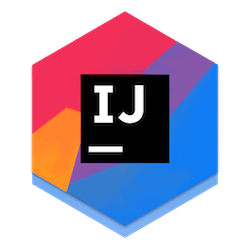 Our IntelliJ IDEA tutorial is designed for beginners and professionals both. IntelliJ IDEA is an IDE for Java Developers which is developed by JetBrains and licensed by Apache 2.0. The IntelliJ IDEA Tutorial covers all topics such as IntelliJ Features, IntelliJ Installation, IntelliJ First Java Program, IntelliJ Window Elements, IntelliJ Code Editor Elements, IntelliJ Scratches, IntelliJ Running Projects, IntelliJ Plugins, IntelliJ Code Refactoring, IntelliJ Code Inspection, IntelliJ Version Control, IntelliJ Debugging, Intellij Testing, IntelliJ Build Tools, IntelliJ Profiling, Migrating From Eclipse, Migrating From NetBeans and IntelliJ IDEA Interview Questions. IntelliJ IDEA is the most powerful and popular IDE for Java Developers. It is developed and maintained by JetBrains Company. It is licensed by Apache 2.0. The first version of IntelliJ IDEA was released in January, 2001. It was first Java IDE which has advanced code navigation and code refactoring capabilities. In 2010, it was voted as the best programing tool available for Java. In 2014, Google released an open source IDE for Android which is also based on IntelliJ IDEA. Technology & Frameworks Support Android, Ant, JavaFX, Junit, TestingNG, Gradle Android, Ant, JavaFX, Junit, TestingNG, Gradle, Node.js, Spring, Struts, EjB, Django, OSGi etc. Deployment Docker, Docker Compose ( via a plugin) Docker, Docker Compose ( via a plugin), Tomcat, Glassfish, Jboss, WebLogic, Jetty, Virgo etc. Before learning the IntelliJ IDEA tutorial, you must have the basic knowledge of Java. Our IntelliJ IDEA tutorial is designed to help beginners and professionals. We can assure you that you will not find any problem in this IntelliJ IDEA tutorial. However, if you find any, you can post the problem in the contact form.